Until the second half of the last century, lead pipes were used to transport water in buildings. After these were banned, water and central heating pipes made of steel, stainless steel and copper were introduced. From around the beginning of the 1970s, plastic pipes have been increasingly used for such applications. They now have a market share of over 50% in Europe. Under the often difficult conditions of domestic installations, the main advantages of plastic pipes are easy handling, durability and resistance to corrosion and weathering. 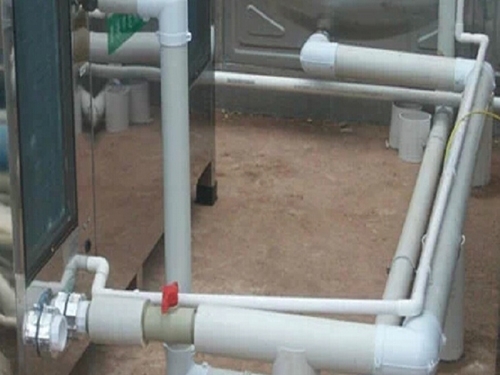 Plastic pipes are inexpensive, hygienic, safe, dimensionally stable and flexible in their use. They are mostly pressure pipes that are resistant to both heat and cold.